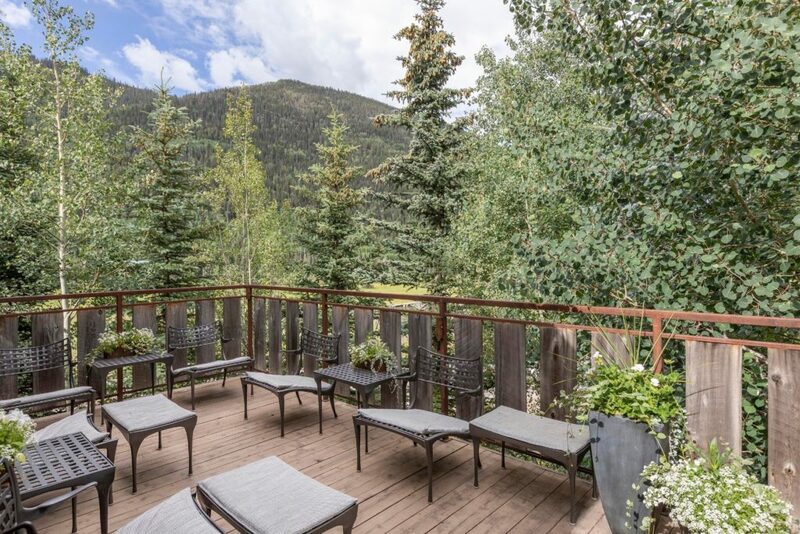 This exceptional 5-bedroom 6-bath home is located in the private Butcher Creek neighborhood and has an adjoining open space lot and comfortable decks on its west side. 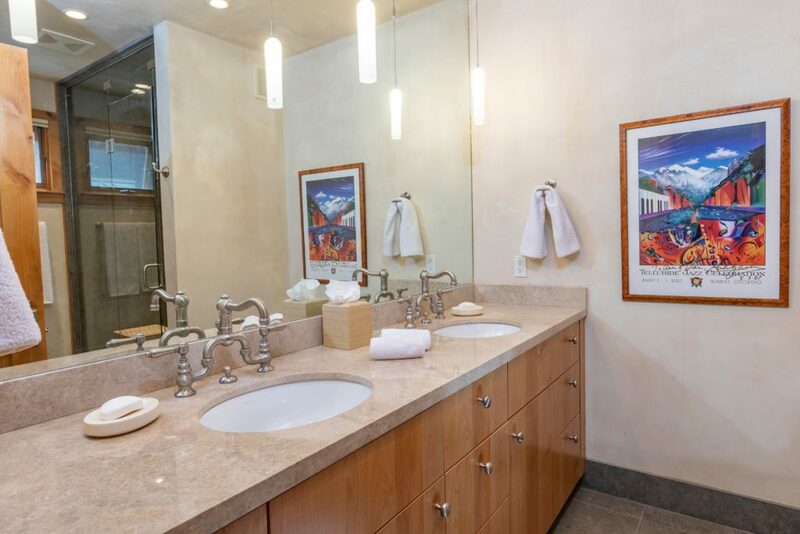 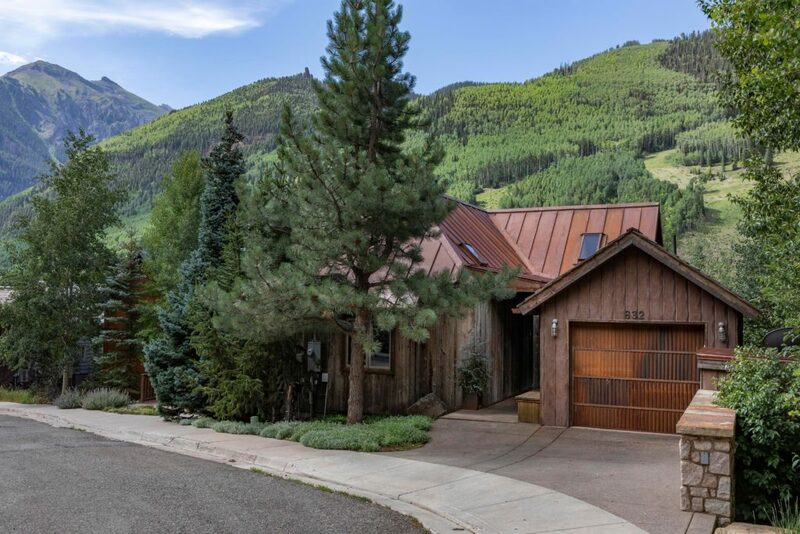 With a timeless interior designed by Studio Frank, the completely custom home features a size/width of living space not found in traditional Telluride homes, plaster walls throughout, and has been featured in Andrew Martin’s Interior Design Review as well as on the Wayfair website. 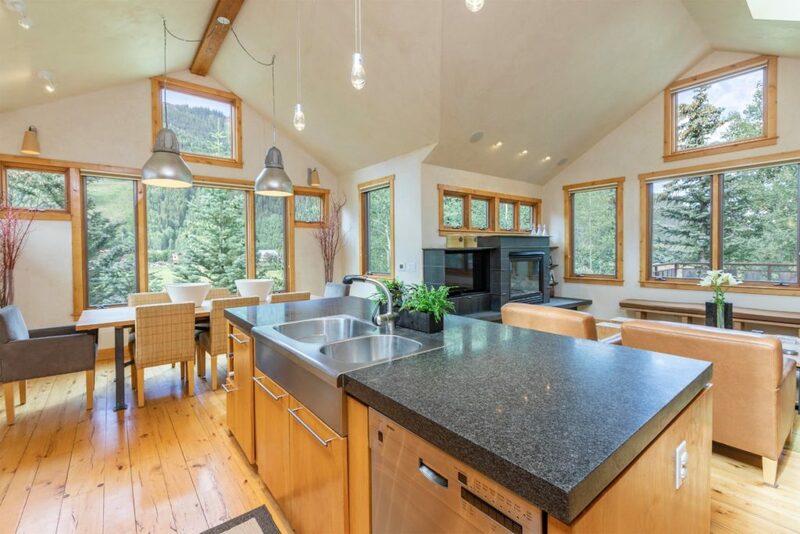 The open concept kitchen includes custom frosted glass cabinets, honed granite counter tops, an oversized SubZero refrigerator, Viking range & hood, and a second built-in KitchenAid convection oven/microwave. 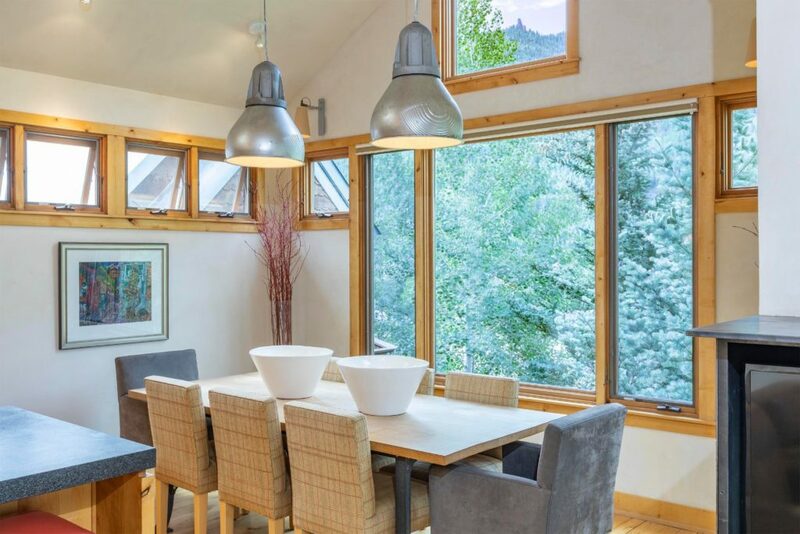 The kitchen continues into the dining room which features original Belgian streetlights over the large table and views of the ski area. 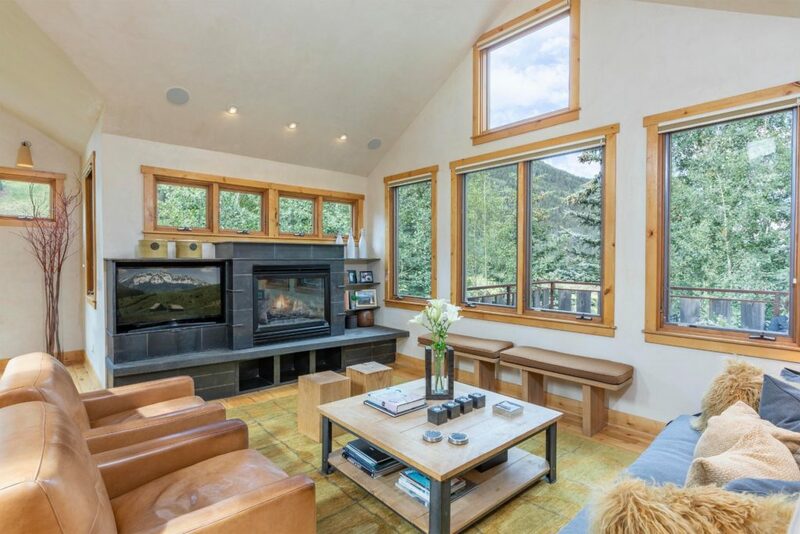 The formal living room is awash in natural light with a large, modern gas fireplace and an adjacent west-facing deck with grill and custom cabinets adds valuable outdoor space. 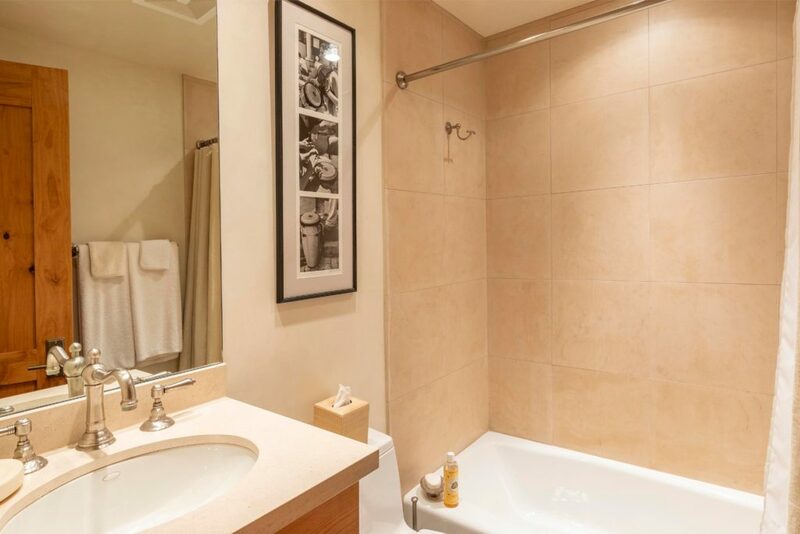 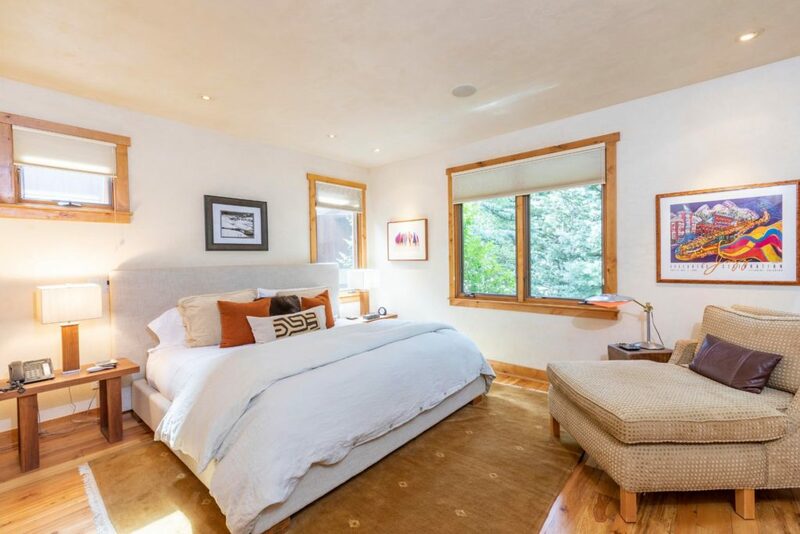 A guest bedroom with bath rounds out the entry level. 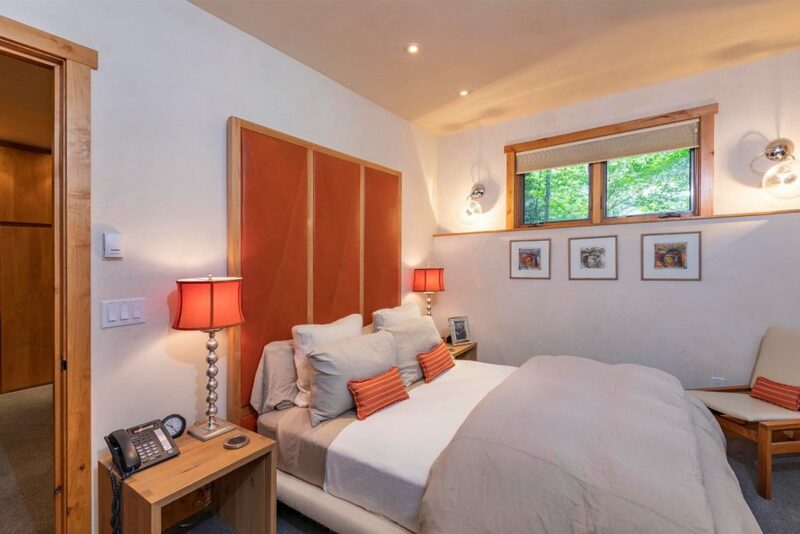 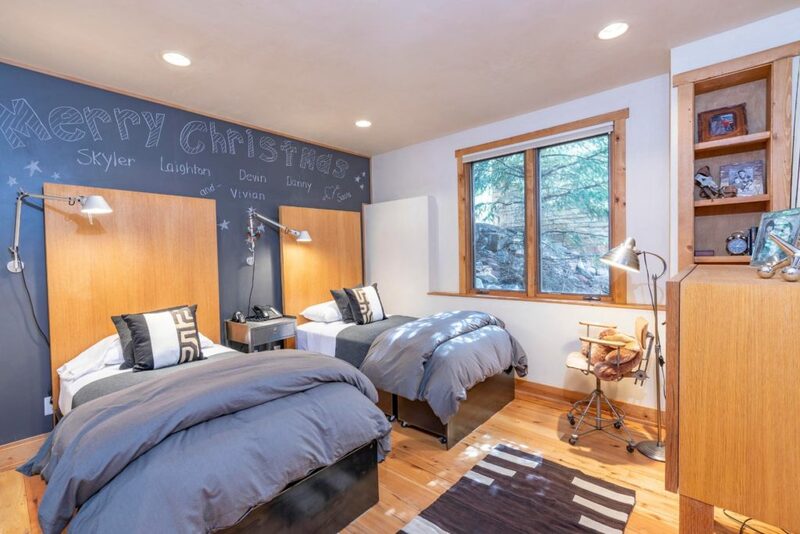 The master level includes a well-laid out master bedroom with en-suit bath and large adjoining walk in closet (originally a bedroom in its own right and easily reclaimed as such) and a third bedroom with twin custom metal beds, plenty of under-bed storage, and a whole chalkboard wall. 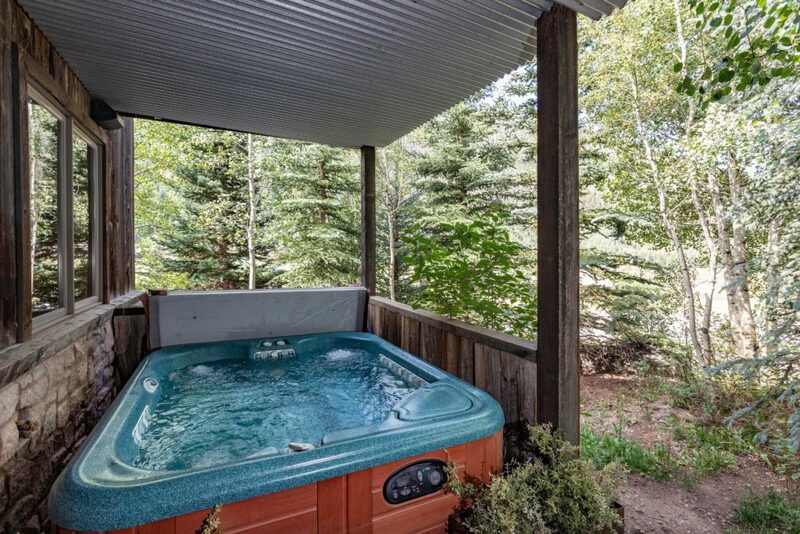 From this level there’s a second deck area with large, private hot tub and adjacent stand-alone studio. 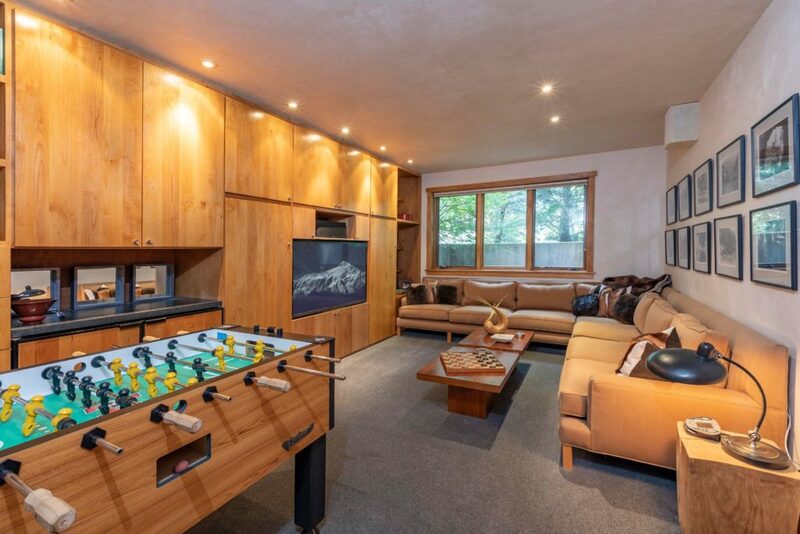 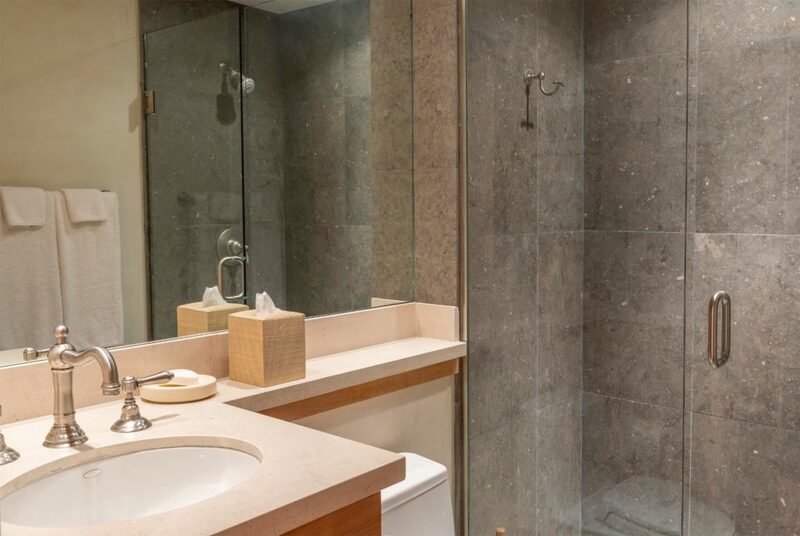 The lower level includes a large media/game room with a full wall of built-in cabinets, a well-designed oversized laundry room and the final guest bedroom and bath. 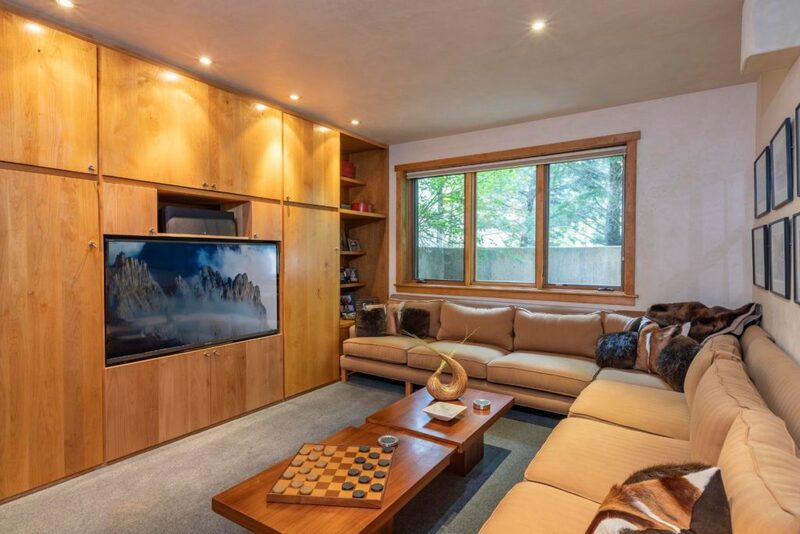 The property is protected by a state of the art security system and has a CRESTRON sound system throughout the house. 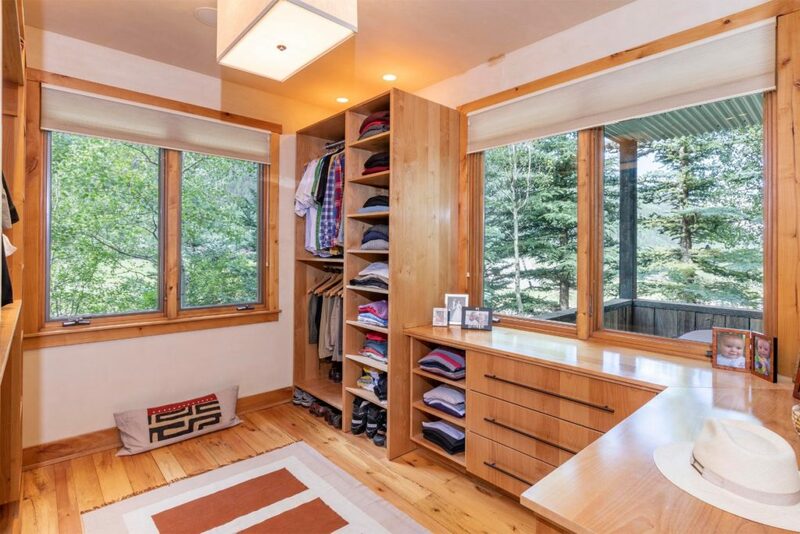 A full-size garage, mature landscaping and plenty of storage rounds out the offering. 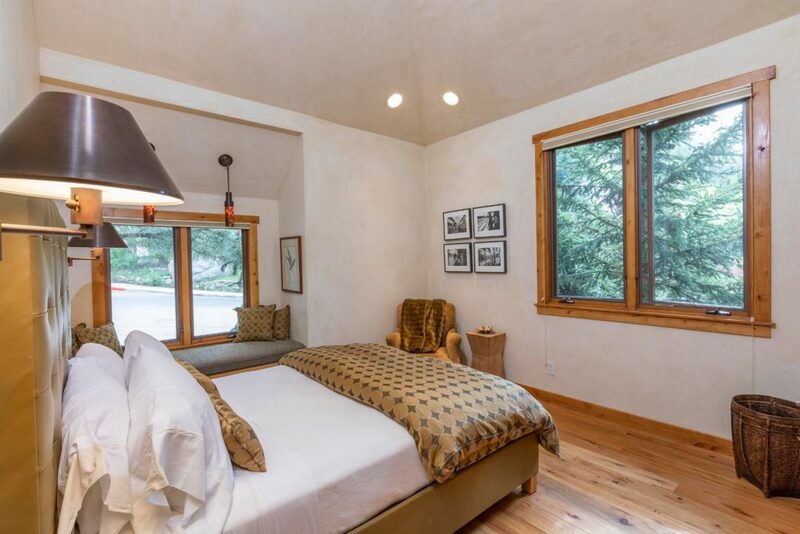 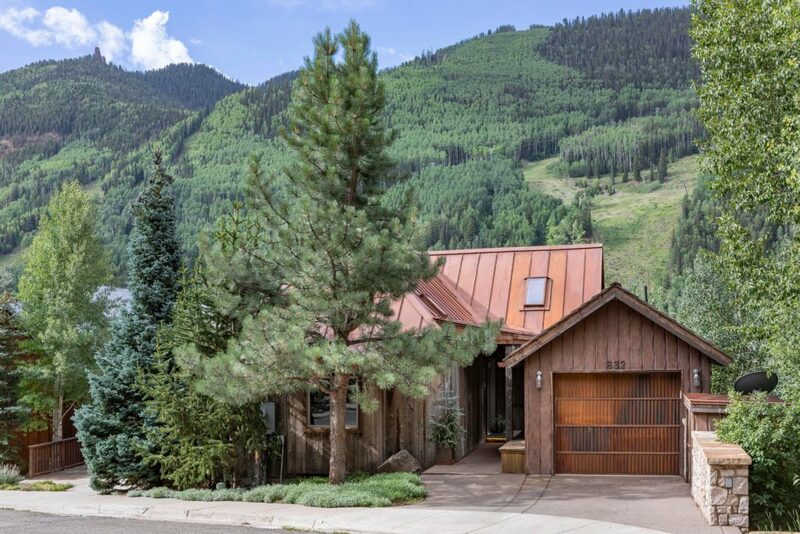 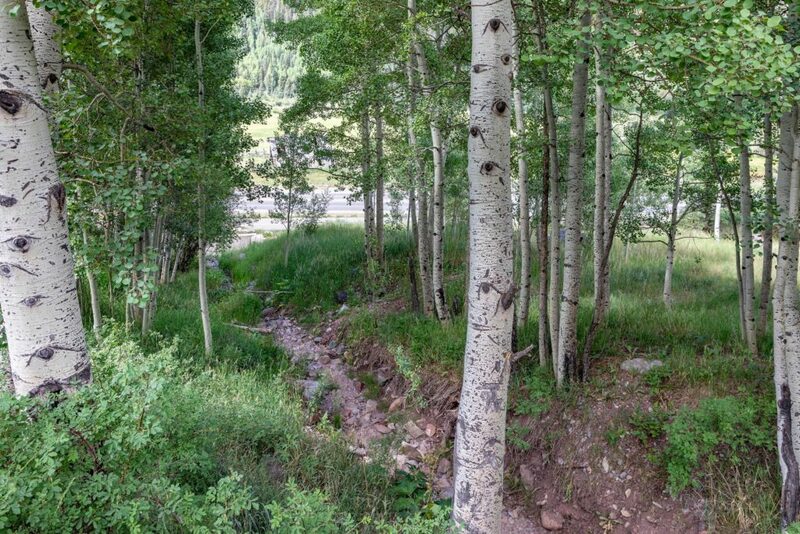 A hidden gem and must-see for families looking for a home in Telluride!